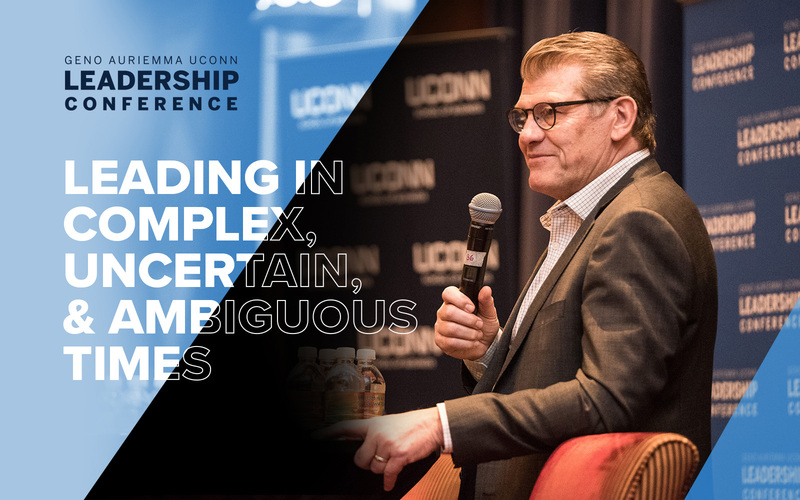 As the University of Connecticut’s premier leadership event, the Geno Auriemma UConn Leadership Conference is a distinctive opportunity for both accomplished and aspiring leaders to share best practices in an intimate high-end setting designed for interaction, learning, and sharing. Hosted by the UConn School of Business in partnership with UConn Women’s Basketball Coach Geno Auriemma, this year’s event will be held October 26-27, 2016 at the Mohegan Sun Convention Center. Conference participants benefit from business school faculty expertise, the skills and experiences of University alumni, and the collective knowledge of highly successful business leaders and colleagues. Auriemma’s leadership skills on and off the court have earned him widespread recognition as a creative thinker with a talent for developing potential in others and finding effective ways to address challenges. Attendees gain insight from Auriemma as he presents his talk, “Changing the Game,” during a featured lunchtime session. 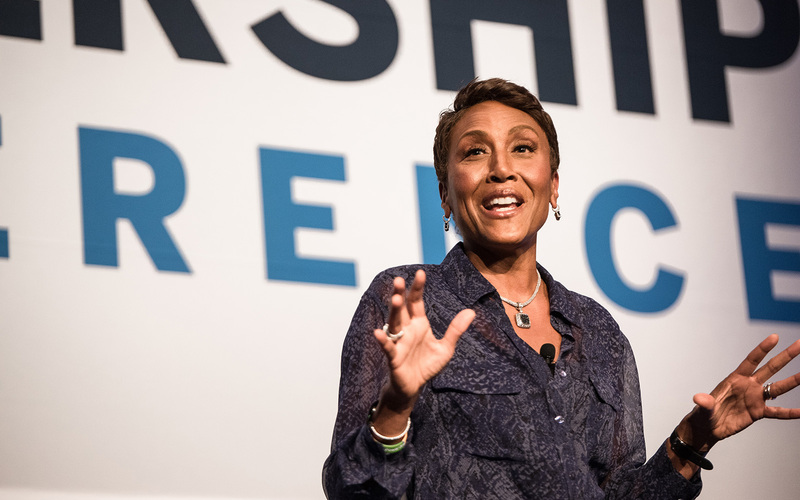 Breakout sessions are divided by industry, allowing you the chance to examine strategy and approaches necessary to lead, motivate, and inspire top performance from everyone in your workforce. Senior leaders who want to help their companies build winning teams. 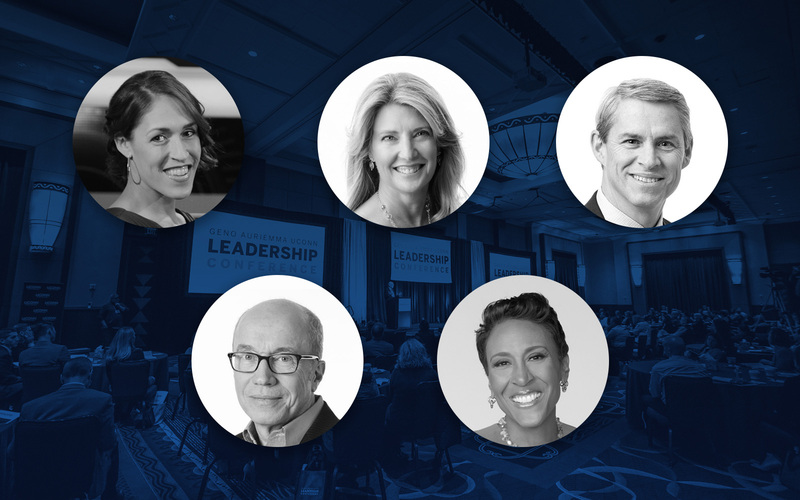 This content-rich conference, one of the few high-caliber business conferences presented in Connecticut, provides a unique opportunity for your team to interact, network, and learn from our extensive panel of experts on leadership challenges and opportunities. The conference aims to help business leaders develop career and problem-solving skills, a broader managerial perspective, new professional networking connections across a variety of industries, and expanded capacity to handle personal and corporate transitions. This is an opportunity to reward your high-value employees and bolster your company’s retention efforts. Your sponsorship affords your company admission and other recognition, including up to two-night accommodations in the adjacent resort. In his position as head coach for 29 seasons, Auriemma has transformed the UConn women’s basketball program into the standard by which all others are measured, both on and off the court. Under Auriemma’s leadership, the Huskies’ success includes 15 Final Fours, five perfect seasons, 37 BIG EAST titles and the first AAC title. The Huskies brought home their ninth national title April 8th, beating Notre Dame 79-58 after both teams celebrated undefeated seasons. Founded in 1941, the UConn School of Business has established a strong reputation for high quality research and academic programs spanning a wide array of functional disciplines including leadership and management. In data released for 2009-2013, UConn’s Management Department shares the #1 rank with Penn State in per capita scholarly productivity, out of 186 Management Departments nationwide (Academic Analytics, LLC).